These last three years have been the most fulfilling years of my life. I’ve spent them training as an actor at a renowned conservatory in New York. During this time, I became fascinated with how the creative world of acting overlaps with the courtroom and how the connections between these two disciplines can be exploited for the good of my clients. “Success is counted sweetest by those who ne’er succeed,” according to Emily Dickinson, and I realize what she meant when I compare the success I once anticipated with the success I found. They are not the same things, at all. But the articles published on this blog represent almost half-a-decade of my life, a half-decade that was intensely lived. Publishing these articles now is like tying those years together to file away, years in which I managed to find some expression for my life and experience. In this blog, I want to pull back the curtain and share with you how the tools and techniques that are at the core of acting can be used in the courtroom to bring the human element to the jury. What has been ingrained in me since day one is that there is no one “way” to approach acting. There are as many different approaches to the craft of acting as there are actors. What works for one actor may not work for another. Heath Ledger was a “Method Actor.” Robert Duvall was trained in the Meisner technique. Just like there are different approaches to acting, I don’t believe that there is one right approach to the courtroom. It’s about finding what works for you. For me, that means finding a creative state that is both pleasing to be in and also full of the power of expressing myself. The acting technique that has had the deepest impact on me both as an actor and as a lawyer is the “Meisner Technique.” Who is Sanford Meisner and what is the Meisner Technique? Mr. Meisner is one of the most respected and influential acting teachers of the twentieth century. The Meisner Technique is a step-by-step procedure of self-investigation for the actor now recognized as one of the foremost acting techniques taught today. What I admire the most about Mr. Meisner is how he was able to isolate with pinpoint accuracy the two major shortcomings of actors — (1) self-consciousness and (2) poor listening — and how he was able to craft a technique that helped actors to overcome them. A major goal of the Meisner technique is to get each student working truthfully and instinctively from themselves and to replace thinking with doing. Mr. Meisner worked tirelessly to develop exercises that would assist actors to trust their instincts, follow their impulses, and to react spontaneously from moment to unanticipated moment. 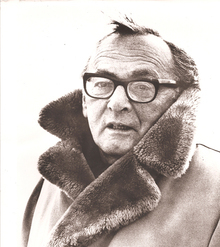 Meisner’s technique is not just the sum of his exercises. His contributions to acting are legendary. Friends and family often ask me, “What is the secret to acting?” My answer often takes them by surprise. The secret to acting is that it’s not “acting” in an artificial and contrived sense. The ability to come to life in imaginary circumstances as if they are real is the very essence of acting. Acting is unlike any other discipline. Good acting is impossible to detect because it cannot be differentiated from real life. When professional actors act, their craft becomes invisible. The idea behind subtraction is that instead of adding layers on to our personality, actors strip down the fronts, veneers, and social masks that we hide behind in order to get to our truth. Shakespeare said, “To thine own self be true.” The immortal bard was way ahead of his time. As actors, if we cannot find our inner truth it will be impossible to find the character inside of us. In order to find our inner truth, we have to flush all of that pretense down the toilet. It’s like peeling back the layers of an onion to get to its root. It is here where lies something more precious than the richest Aegean treasure: your authenticity. This emphasis on truthfulness cannot be stressed enough. In the words of William Esper, “Truth is the blood of art. Without truth a piece of art fails to touch the human spirit.” Think about it. Have you ever left a play saying, “I loved it! It was so phony. I didn’t believe a single word.” Audiences come to see the truth. So actors must first discover their own truth. Even if you are not an actor, finding your true self-expression is a profound experience that impacts every facet of your life and that leads to a burst in creativity, leadership, communication and self-confidence. Meisner’s definition of acting can be uncoupled into two parts: “the ability to live truthfully” and “under imaginary circumstances.” Living truthfully rests on the foundation of the “reality of doing.” The reality of doing is the foundation of all good acting and is the bedrock on which all of Meisner’s work is built. Imaginary circumstances is the script. The reality of doing means that you must really do the thing as opposed to pretending to be doing it. Here’s an example. Suppose that I ask you how many letters there are in your first and last name combined. You quietly mouth the letters that spell your name while ticking them off with your fingers. You answer, “twelve.” Did you really count the letters or did you pretend to count them? That’s the difference. It matters less whether you were successful in completing the task, here arriving at the correct total as it is that you were really doing the thing. For example, suppose that I asked you what you had for dinner three weeks ago on a Friday. Even if you couldn’t remember, the fact that you were really trying to recall it is the single most important thing. Example # 2: If you’re playing the role of King Lear, you have to really be raging against something, otherwise you’re just an old cantankerous English guy. Robert Duvall sums it up best, “Acting comes down to talking and listening.” After all, contact with another person is the source of life. The point is to really listen, really hear, and truthfully respond. When two people do this, they create real contact. Not intellectual contact but emotional contact. This is what is meant by “conversational reality” in theater. A good conversation follows the pattern of a heart monitor with peaks and valleys. Over the course of several minutes, two people might laugh, scream at each other, trade jibes, shock each other, giggle, and grow bored, excited, then finally furious with each other. Meisner’s Repetition exercise mimics real life, in the sense that it becomes a workout for living spontaneously from moment to moment – an essential skill for actors. When I first began training in the Meisner technique, I yearned to find my truth. I knew that I wanted to become the kind of actor who touches the audience’s soul and who takes them on a wild ride, not knowing what I will do next. While I didn’t know it at the time, my journey into acting was to lead me on a journey of self-discovery that has carried me on a voyage through the uniqueness of myself as a human being to a spectacular destination – the actual realization of my imagination, humanity, instincts, and talent. On a primitive level, I realized that I was rediscovering what it means to be human. I’d like to share with you what I learned. Actors are the ultimate storytellers. They expose the human condition and pull the audience along. While there isn’t a life coach out there that doesn’t cover one or more of these topics, I want to emphasize that the perspective you’re getting on these topics is unique: it’s rooted in acting and it’s based on my personal experience as an actor. What you will find in these posts is how the technique has come to me, how it speaks to me, and how I have made it my own. Although the Meisner technique was developed specifically for the acting community, the possibilities that exist for adapting it to the courtroom are endless. Let’s begin the work of uncovering this “hidden harvest” in the hopes that it yields a bountiful crop.